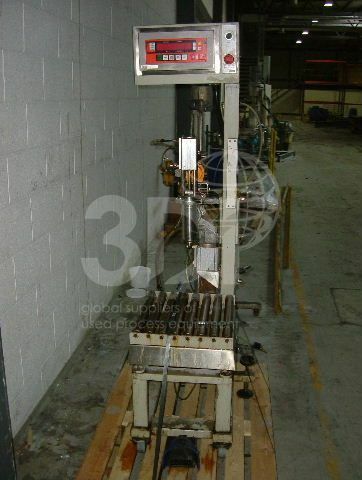 Used Weigh Filling Machine, manufactured by Mount Packaging Systems Ltd, 1995. Model WF1000. Serial no. 94027. The WF1000 is an electronic nett weight filling machine designed to fill a range of containers from 2.5 litres to 25 litres. 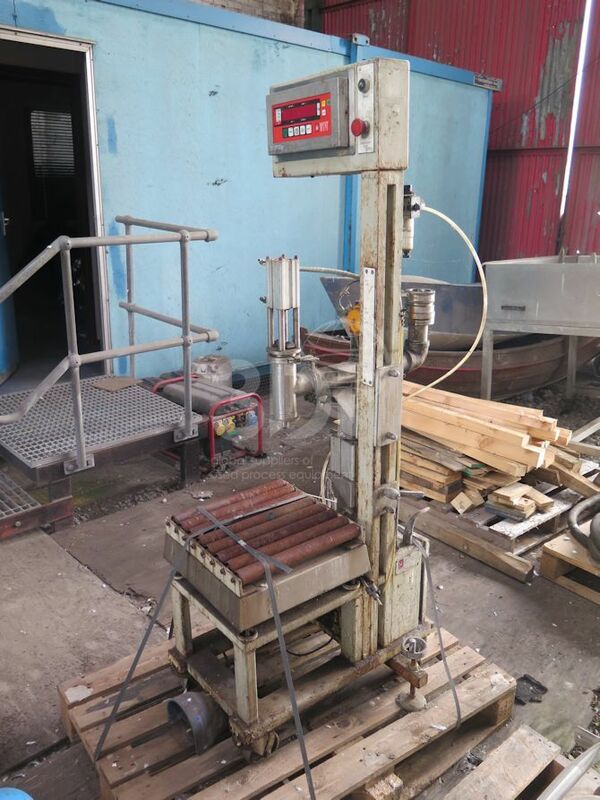 The machines comprises of neck entry filling valve, which is height adjustable to suit different containers, mounted over a 400mm detachable roller conveyor. The weighing indicator is mounted on the filling machine at eye level and controls the amount of product dispensed from the filling valves. The filling of containers is carried out at two filling rates bulk and dribble. After the filling valve has closed the machine will automatically calculated the in-flight product.